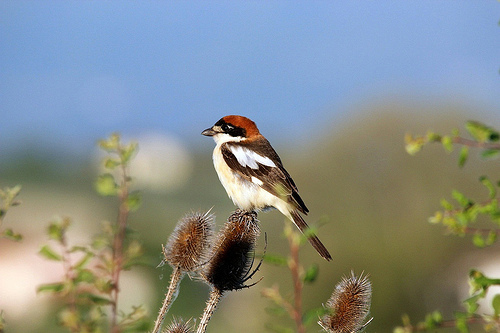 The Woodchat Shrike breeds mainly in southern European countries. In the north, it is a fairly rare bird. 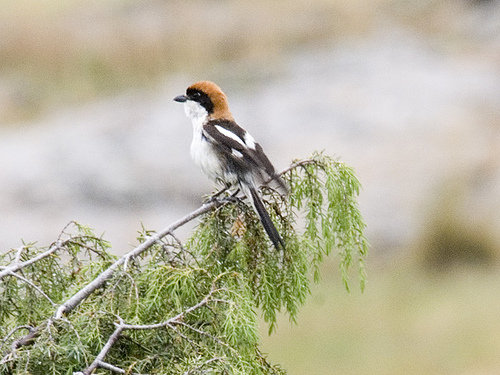 It's a songbird, but also a real robber, which eats both beetles and small birds.